I have removable hard drive which I can't encrypt. There should also be an option called "Mac OS Extended (Journaled, Encrypted)", but it is not in the list. To be more specific I'm running the latest update of OS X High Sierra (10.13.1). The hard drive model is: Transcend StoreJet 25M3 2TB TS2TSJ25M3E. The issue was with GPT partition. Somehow the disk didn't have it. disk utility started offering needed encryption options. /dev/disk2 is the path of removable hard drive. If you are not sure what is the path, run diskutil list - that will list all the disks and you'll be bale to pick yours. Not the answer you're looking for? Browse other questions tagged macos disk-utility encryption filevault high-sierra . What is the Mac OS 10.7 (Lion) volume encryption standard? Is there a way to have an encrypted folder on macOS with fast read/write operations? How would I password protect a USB Thumb Drive? 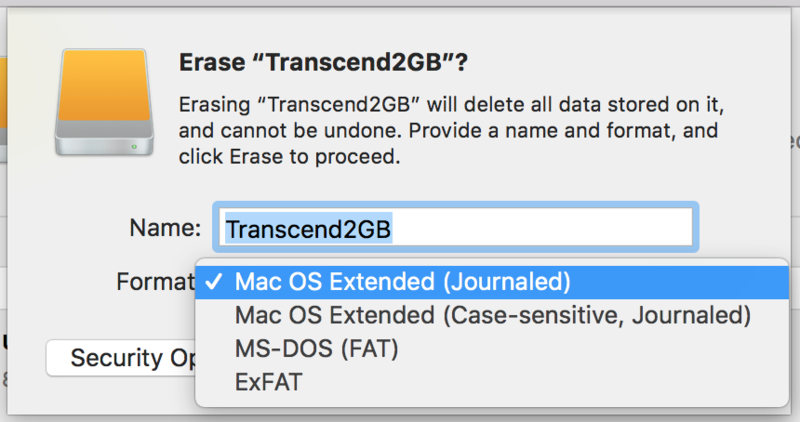 Encrypt external HDD without erasing data on High Sierra?